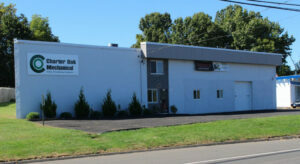 Charter Oak Mechanical Specializes in Thermostat Installation in Manchester CT, Bolton CT and Vernon CT. Your programmable thermostat is energy star, helping you cut back on heating and cooling costs when you leave the home. 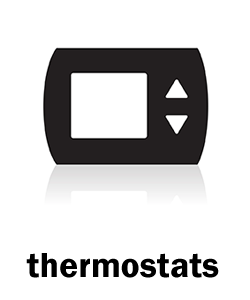 Programmable thermostats don't start saving you money until you use the thermostat correctly. Here are a few tips to ensure that you are getting the most out of your energy star thermostat. 1.) Pick a Thermostat that meets your schedule needs. Different models have different levels of control. 2.) Try to set the energy levels back for blocks of time greater then 8 hours, for the most significant savings. 3.) Do not crank the thermostat to heat your home more quickly. Cranking it up may actually make the air system overshoot the temperature that you want. 4.) Look for a hard wired thermostat, if you do have a battery powered model make sure to check the batteries regularly. 5.) Try to set the temperature back 5 to 15 degrees when you are asleep or away from your home. Please call the experts at Charter Oak Mechanical to get your home on the right path to energy control and savings. 860-432-8915.